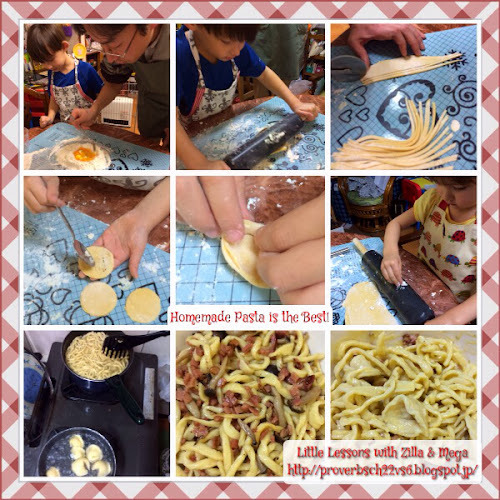 Lesson: Homemade pasta is the best! 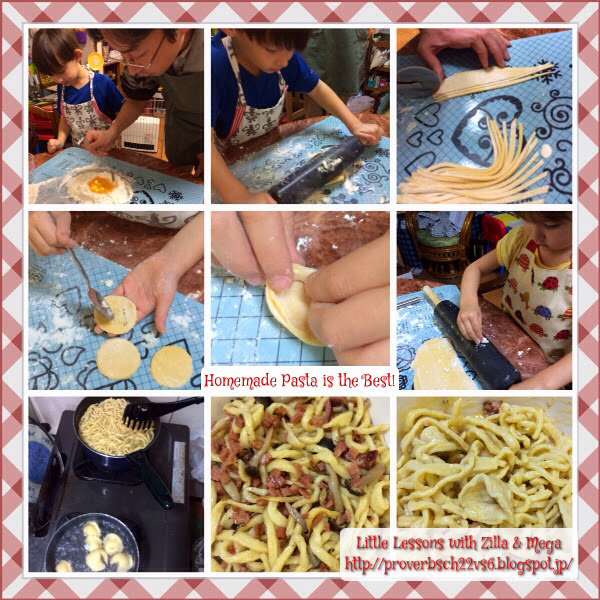 This week we watched an episode of Reading Rainbow in which they showed a family making pasta. The tortellini in particular caught Zilla's attention. He wanted to make it. For supper. That night. Not. Possible! So, he had to wait a day. 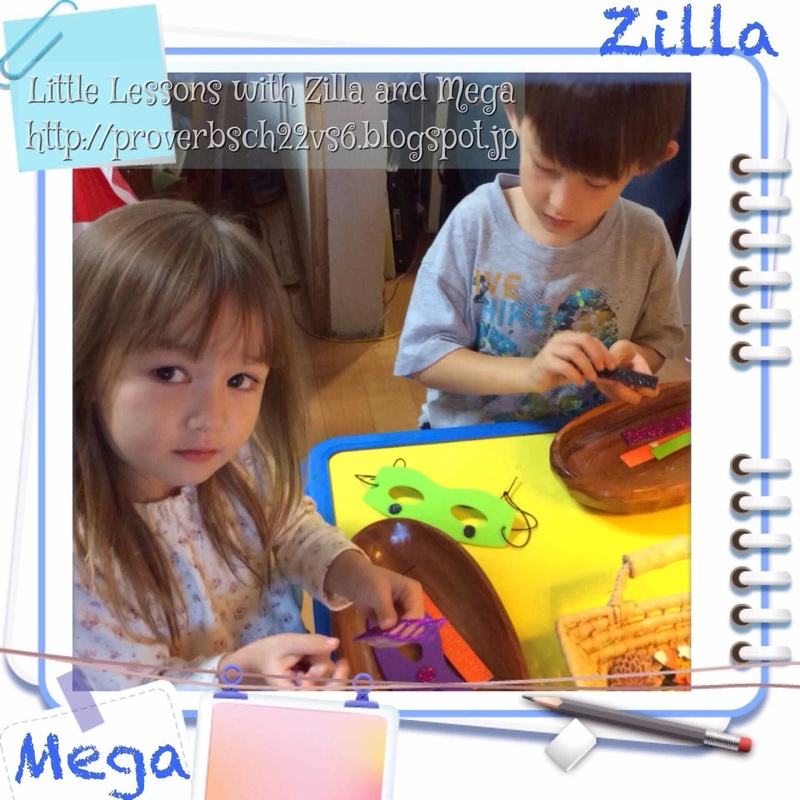 Then, Emo (daddy) volunteered to make pasta with Zilla and Mega if I would direct them through the process. It was a delicious and fun activity! I turned to google for a recipe and came across the Cooking Channel for Fresh Pasta Dough. It was easy to do but from set-up to clean up took about 2 hours. I think an adult working along at a kitchen counter could get done a lot faster but it wouldn't be as much fun! These pictures tell the story pretty well. He noodles puffed up a bit while cooking so in the end it was closer to fettuccini than speghatti but as long as it tastes good we don't care! Miss Mega likes the pasta so much she switched to signing because her mouth was full of food!